Make the smart investment by choosing hardwood flooring from a reputable business like ours. As one of the area’s leading flooring stores, we offer solid and engineered hardwood floors in an array of attractive styles. With one of the most impressive collections of hardwood available at our location, you are sure to find the perfect floors for any room of your home. Whether you are in search of charming and rustic planks, or a sleek and traditional surface, look to us for the flooring of your dreams. If you’re ready to improve the value and appeal of your home, now is the time to replace old floors with solid or engineered hardwood. Visit our store and showroom for a shopping experience like no other. Our knowledgeable associates go above and beyond to help clients in their search for hardwood floors. We are happy to guide you every step of the way—from selection to hardwood flooring installation. By taking the time to understand your expectations in price, performance, and appearance, these flooring experts are able to narrow down the vast inventory to the few options most likely to satisfy. When you’ve selected the perfect planks, our commitment to your satisfaction doesn’t end. We continue to provide you with exceptional service throughout the installation process. Innovations in manufacturing make the latest wood products more beautiful and durable than ever before. By choosing an engineered product, you get the same natural wood look you want while remaining within your strict budget. Unlike solid hardwood, engineered planks are made using multiple layers of a plywood-like material that is topped with a thin veneer of real wood. This guarantees a long-lasting lifespan, along with a high-end appearance. The layered design of engineered wood means they don’t warp or expand in humid environments, making them the perfect addition to rooms like the kitchen, bathroom, and basement. Our wide variety of hardwood floors includes coveted species of oak, maple, cherry, and other exotic woods able to suit every preference and taste imaginable. Replace the worn flooring in your house with one of these options to create an elegant atmosphere able to last generations with the proper maintenance. Traditional hardwood flooring is built strong to endure years of wear and tear caused by your active family. Typical hardwood planks are cut into 1” thick, natural layers, and are suited for low-traffic areas where the main goal is aesthetics. With other more robust designs also available, you also have the opportunity to choose a wood with refinishing capabilities. Once these floors begin to show unappealing scuffs, scratches, or stains, they can be revitalized to a like-new appearance through refinishing services. One of the most appealing aspects of purchasing a hardwood floor from our store and showroom is the unique variation found within each piece. Mother Nature paints each piece of hardwood to produce distinct patterns that form a visually pleasing effect when placed together. If you are particularly interested in a more rugged look, consider choosing rustic handscraped hardwood that features charming markings carved into each piece. We also offer plank options in smooth wood for an elegant tone and exotic wood for a multi-faceted textured look. Choosing one of our more custom products allows you to have a say in every aspect of the design process. From the gloss level, to the exact finish, and even the edge type, you make the decisions every step of the way. Whatever your preferences and lifestyle, we guarantee to deliver perfect hardwood for you. Do you have a specific hardwood style in mind, or are you looking for inspiration? Our design team is here to guide you through your options, bringing your design visions to life through the right hardwood flooring. Bring us a picture of your existing décor or show us images of your dream rooms. We’ll peruse our vast selection and educate you about installation options in order to fulfill your desires. The longevity of your latest flooring investment greatly depends upon the quality of the installation. To ensure your new solid hardwood or engineered hardwood continues to impress far into the future, entrust the installation to us. Our team of in-house technicians utilizes the most trusted techniques and tools to complete every hardwood flooring installation in a timely manner. Our company is so confident in the skill of our installers that we back their work with some of the most impressive guarantees in the industry. Choose a 4- or 5-Star rated product and rest easy knowing you are covered by the Confidence Plus Warranty. According to this warranty, if you aren’t completely happy with your floors in the first 30 days, we’ll replace them with a comparable product for free. 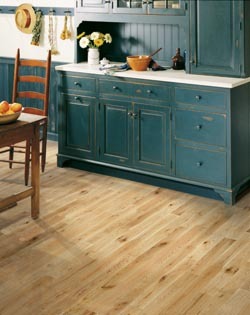 Learn more about the hardwood flooring carried at our store and showroom today. Call, use the convenient on-page form, or stop by our location to discover the impressive selection available. We proudly serve Webster, Clear Lake, Houston, Nassau Bay, and Seabrook, Texas, as well as the surrounding areas.